Hook up a Chromebook, a Mac, a PC, and a Roku, and you could have something special. Many of us have multiple monitors lined up next to each other, bezels jammed up against bezels to create the illusion of one giant display. You can stop now. Dell’s done you one better with its huge new 43 Ultra HD 4K Multi-Client Monitor. 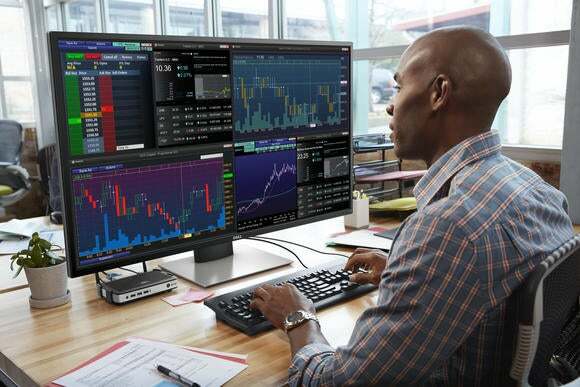 Dell combines four 1080p screens into one giant, seamless 43-inch, 3840 x 2160 (60 Hz) 4K mega-monitor. The kicker is that those screens are truly independent: You can’t physically separate each screen into a separate monitor, but you can pipe independent inputs through each of them. Alternatively, you can let one input and let it fill the entire screen, just like the picture-in-picture TV screens some of us grew up with. The price? A mere $1,350. Why this matters: Sure, Windows 10 already lets you take four windows and snap them to each of the four corners of the screen. 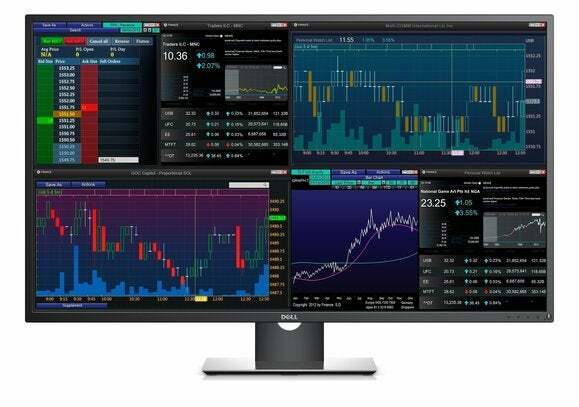 But even if you're not one of the financial traders or software developers for whom Dell created this display (people who may need to run different operating systems or platforms simultaneously), you could conceivably run a Mac, Chromebox, or other systems right next to each other, with their outputs sharing the same screen. Yeah, pretty cool. Unfortunately, Dell’s inputs seem a bit haphazard, as the connectivity options include one DisplayPort 1.2 port, one miniDisplayPort 1.2 port, a pair of MHL certified HDMI ports, a VGA port, a USB 3.0 (upstream) port (whew!) as well as a more standard collection of four USB 3.0 ports, audio, headphones and RS232 connectors. It’s also not clear whether Keyboard Video Mouse technology is included. Normally, swapping between video inputs on a single monitor would require a KVM switch, which reroutes the signals to and from a single keyboard, mouse and monitor to the various sources. Though Dell claims you can switch inputs at the touch of a button, it’s not quite clear whether KVM technology is included. 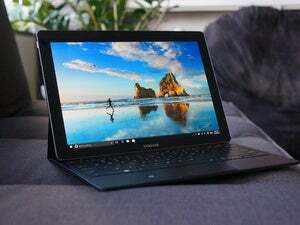 Otherwise, Dell’s IPS panel boasts 104 pixels per inch, with a 350 cd/m2 (typical) display luminance. Response times are 8ms, gray to gray. If this sounds like a setup you’d like for your next PC battlestation, Dell’s website currently says you can have it by tomorrow.